Are you cray for this crustacean? (SPOT.ph) Lobster is probably one of the most sought-after crustaceans in the world, whether it’s part of a surf-and-turf dish or the main entrée, perhaps for its hefty size and succulent meat. And since it’s a bit hard to find in the Metro, you’d be surprised that there are actually places that serve this tasty shellfish. 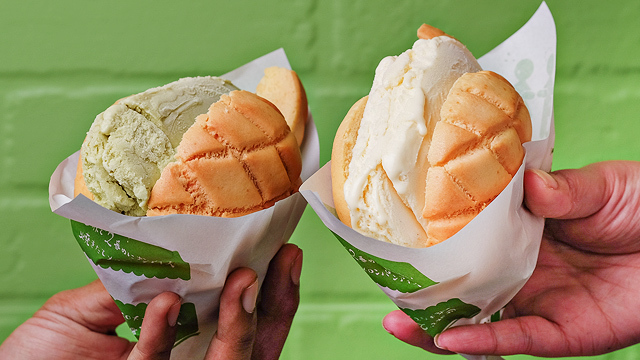 Luckily for you, we’ve done all the scouring and listed some places where you can find this indulgent treat. Manila may be thousands of miles away from Maine, but Bun Appetit makes a mean Lobster Roll (P695) that's the next best thing to having one in New England. Though a tad bit pricey, the lobster-stuffed buns are worth the price tag since their sandwiches don’t scrimp on filling. You’ll get about a hundred grams of high-quality, sweet lobster meat on a buttery bun—the perfect vessel for this delicate seafood dream. 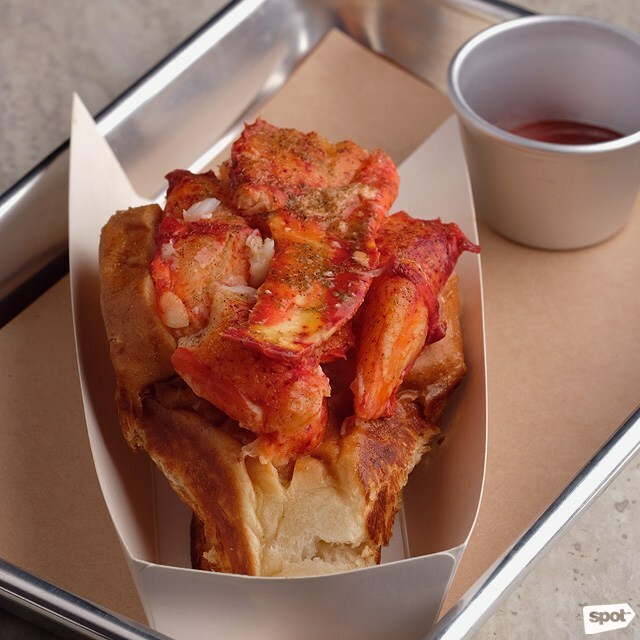 A dash of tasty seasoning and lemon zest brings it all together, setting the standard for great lobster rolls in the Metro—no wonder this weekend-market cult favorite has planted permanent roots at Rockwell’s The Grid. Bun Appetit is at The Grid, Level R2 Power Plant Mall, Rockwell, Makati City. As if there aren’t enough reasons to eat ramen, Wonderbowl by Ramen Nagi adds one more with their impressive Wonder Lobster Ramen (P1,500). 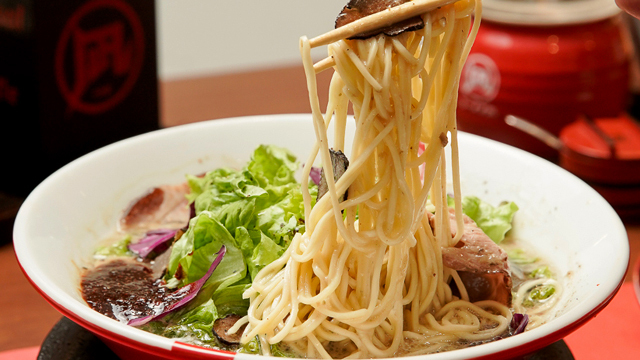 You’ll only get this special seafood noodle soup at this particular restaurant, which is helmed by Chef Ikuta Satoshi. 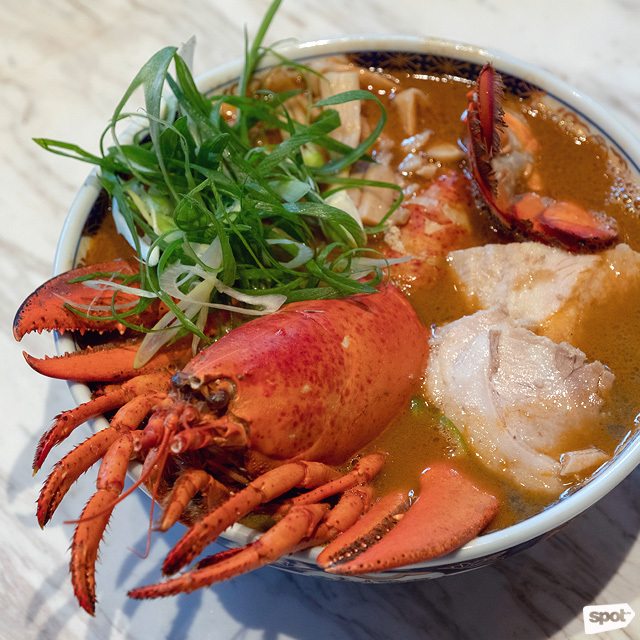 The premium bowl has a whole lobster swimming in a sea of flavorful lobster and ebi stock with springy noodles, tender pork chashu, cabbage, leeks, and ebi powder. If you want a lighter alternative, go for the King Lobster Ramen (P490), which is just as delicious and satisfying. “Lusso” is “luxury” in Italian, and this elegant restaurant at Greenbelt 5 lives up to its name. Since they opened almost a decade ago, they’ve been serving up excellent French and Italian-inspired dishes by Chef Margarita Forés. Thier claim to fame may be the foie gras burger, but there are a couple of lobster items that might catch your fancy as well. The Lobster Bisque (P555), for instance, would warm your belly with its hearty seafood broth. But something that’s more filling is the Lobster & River Prawn Lasagna (P750), which mixes two of your seafood favorites in one cheesy, pasta plate. Lusso is at G/F Greenbelt 5, Ayala Center, Makati City. There are nine live cooking stations at The Food Hall by Todd English, a stylish European-inspired food court by namesake Todd English, an international celebrity chef. You might feel overwhelmed with their eclectic mix of food, so just zero in on the crustacean finds if that’s what you’re looking for. Take in the cozy ambience as you treat your taste buds to their Lobster Guacamole (P490), with homemade crispy chips served with fresh lobster tail and pico de gallo, or the Lobster Taco (P420), with deep-fried lobster in a fluffy tempura batter. Their Surf N’ Turf (P1,490), on the other hand, combines a juicy steak with meaty and buttery lobster tail. The Food Hall by Todd English is at the5/F SM Aura Premier, Bonifacio Global City. 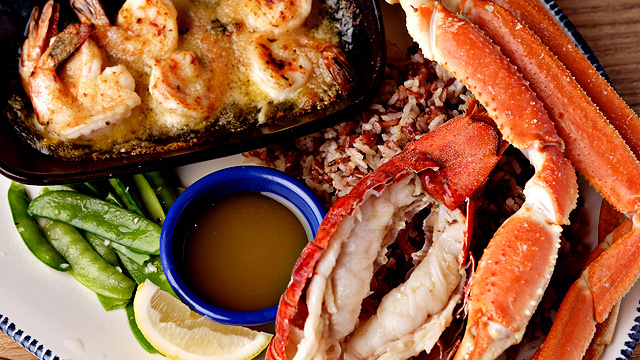 Red Lobster, a U.S. seafood chain popular for their huge Maine lobsters, has finally arrived on our shores. Their wild-caught lobsters come fresh from the Atlantic and are prepared upon order so you know you’re getting a lot of bang for your buck. An obvious pick would be their Live Lobster (P1,500/pound), which lets you appreciate the lobster’s natural sweetness. If you want some variety, try the Ultimate Feast (P2,950) where you can get a little bit of everything, like a Maine lobster tail, Alaskan snow crab legs, shrimp scampi, fries, wild rice, veggies, and butter sauce. 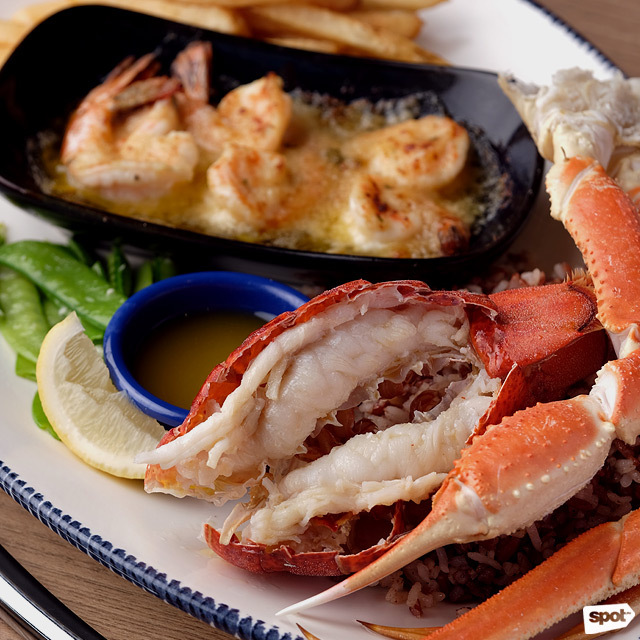 Red Lobster is at G/F S Maison at the Conrad, SM Mall of Asia Complex, Pasay City. Bring your date to this swanky aviation-themed restaurant and you’ll most likely feel like you’re both floating on air after the meal. Whet your appetite with the Tempura Lobster Rice Paper Roll (P720), a fresh Asian-inspired creation, which you can dip in Sriracha mayo and nuoc cham. There’s also the Lobster Spaghetti (P780) that’s cooked with fennel, tomatoes, and delicate saffron. Pair this comforting pasta dish with any of their signature cocktails and you’ll have a dinner to remember. Blackbird is at Nielson Tower, Ayala Triangle Gardens, Salcedo Village, Makati City. For traditional Cantonese cuisine, look no further than Xiu, a fine-dining restaurant in Greenhills known for their fresh seafood and unique delicacies. They’ve got quite a dim sum selection, but one dish to highlight is their Baked Lobster with Cheese (seasonal price/100g), served with e-fu noodles, a kind of flat Cantonese egg noodles made from wheat flour. You won’t be able to resist sinking your teeth into this luxuriously cheesy lobster creation. Xiu Fine Cantonese Dining is at 115 Connecticut Street, Greenhills, San Juan City. We know, we know—you love their steaks and Lorenzo’s Truffle Cream pasta. But next time you’re at Mamou, why not try straying away from your comfort zone? Spoil yourself with their tasty lobster-themed dishes, like the Maine Lobster Tails (P1,860/regular; P2,590/to share), which come with a choice of Pia’s Garlic Noodles or Pia’s Shrimp Head Rice. Or you can also go for the Steamed Live Maine Lobster (P2,900/below 1 3/4 lbs; P3,500/ 1 3/4 lbs and above), a simple but naturally buttery and sweet dish complete with white or red rice cooked in buttered lobster fat, malt vinaigrette, and lemon butter sauce. See a list of Mamou branches. Classic Chinese cuisine is what Crystal Jade is all about. 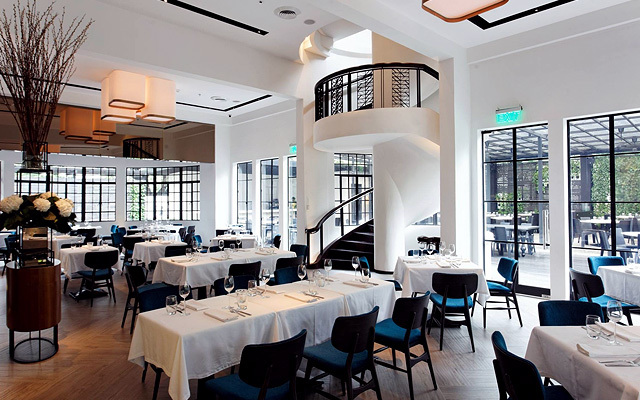 This offshoot of Singapore’s Michelin-starred Crystal Jade restaurant offers fine Cantonese food like roasted Peking duck and suckling pig. 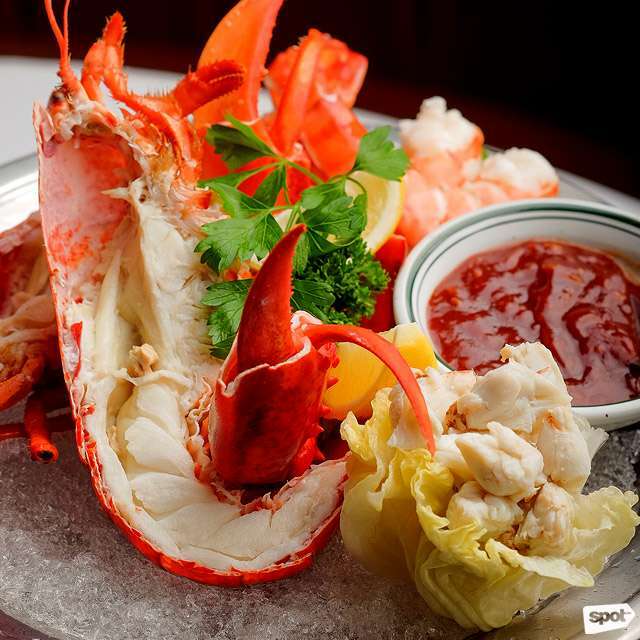 Aside from that, Crystal Jade also has live seafood specialties like the live lobster served two ways. Don’t miss the Baked Lobster with Superior Broth (seasonal price/100g), a beautifully plated dish where no part of the lobster is wasted. You might also want to sample their Lobster Sashimi (seasonal price/100g) so you can truly savor the freshness and sweetness of the lobster meat minus the frills. Crystal Jade is at 7th Avenue, Bonifacio Global City. Yes, it’s true that you go to Wolfgang’s Steakhouse for their mouthwatering steaks, but a quick browse through their menu might tempt you to upgrade your steak meal with some of their tasty seafood dishes. Start your meal with their Seafood Platter (price varies depending on marketplace prices), a massive tray that highlights the bounty of the sea—jumbo shrimp, crabmeat, and, of course, lobster. It’s served with fresh parsley, lemon wedges, and the restaurant’s signature tangy red sauce for brightness. Wolfgang’s Steakhouse has branches at Resorts World Manila, Newport City, Pasay City; G/F The Podium, 18 ADB Avenue, Ortigas Center, Mandaluyong City; and LG/F One Bonifacio High Street, Bonifacio Global City.